A Los Angeles company that rents dedicated food-production spaces to tenants ranging from startups to national companies is opening on Chicago’s Northwest Side, its first location outside California. 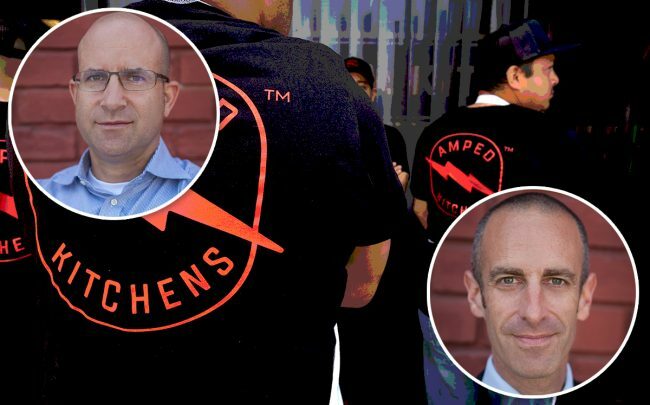 Amped Kitchens bought a three-parcel industrial complex in Galewood for $3.8 million and plans to turn the facility into 64 separate commercial kitchens ranging from 150 to 2,000 square feet, company co-founder Mott Smith told The Real Deal. As part of the New Markets Tax Credits program, the firm received $24 million in financing for the project from a consortium including the Local Initiatives Support Corporation, the Southside Community Redevelopment Enterprise, Milwaukee-based FirstPathway Partners, Consortium America, the Chicago Community Loan Fund, Blue Hub Capital and PNC Bank. The program awards federal tax credits to investors who back ventures that bring jobs to low-income communities. Amped bought the three parcels on West Dickens Avenue between Monitor and Mango avenues from JDI Realty, records show. Smith said the properties are essentially one industrial building that has been expanded over time, and will be renovated as one contiguous facility. The company opened its first location in Los Angeles in 2015 and plans another this year. It’s been looking for a Chicago location for two years, Smith said. He said Amped facilities provide opportunities for food producers. That includes new companies trying to get off the ground and major firms that might otherwise put off launching new products because they are deterred by the lengthy, costly process. For smaller firms, the Amped spaces provide dedicated spaces they don’t have to share with other firms as in traditional shared kitchens. And bigger firms get to test and refine products on a smaller scale for putting them into large-scale production, he said. “It’s like an apartment building for food companies,” Smith said. He said the firm plans a substantial gut remodel of the Chicago complex including “massive” investment in the facility’s power, water and gas systems, plus significant spending on tenant improvements. Pepper Construction is the general contractor. Tenants will have access to amenities including loading docks, dry storage, cold storage, packing rooms, locker rooms, Amped-employed porters who can load pallets for tenants using forklifts, and onsite USDA office. The Galewood location is close to trucking lines, which Smith said is a key consideration for Amped, and near the Hanson Park Metra station so it’s accessible to tenants’ employees. Notable Amped tenants have included Beyond Meat, Blue Bottle Coffee, Soylent, Hakuna Banana and alternative butter-maker 4th & Heart, he said. Smith expects the Chicago facility to be open by spring 2020.